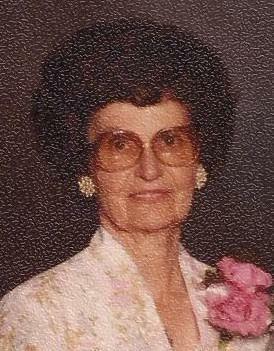 Afton Bastian Ence, 94, passed away Tuesday, Sept. 27, at the River Road Beehive Home in St. George. She was born June 17, 1922, in St. George, Utah, to Charles Jacob Bastian and Josephine “Phine” Hannig Bastian. She married Milo Afton Ence on June 21, 1941, and their marriage was later solemnized in the St. George Temple of The Church of Jesus Christ of Latter-day Saints in 1977. Mom grew up in Saint George, where she enjoyed her family and good times with her group of friends. She graduated from Dixie High School and then married her high school sweetheart, with the same name “Afton.” After graduation, Mom and Dad moved to Fort Worth, Texas, where Dad served his country in the U.S. Air Force. Mom was blessed to enjoy the company of her husband for 66 years, during which time they raised their two sons, being involved in all their activities. She loved spending time with her family, including fishing trips to Pine Lake, going to ball games and playing with her boys and grandchildren. Every Christmas, mom and dad would labor to decorate their home with many lights, nativity scene, carolers and of course, Santa Claus. It was a display that enhanced the Christmas experience for many people. In their early married years, before having any kids, mom worked at a local drug store, where she learned to make delicious chocolate milkshakes. She served in the Lady Lions Club for many years, where she enjoyed working on the floats for the annual Dixie Round Up parades. She was a member of The Church of Jesus Christ of Latter-day Saints, where she primarily served in the library for many years. She would not let the Bishop change her calling. She loved biking to her mom’s house to engage in a friendly game of penny-ante poker and taking an occasional trip to Mesquite to try her luck on the slots. She also never missed the opportunity to play as many April Fools jokes on her kids and grandkids as she could. She is survived by her older sister, Wanda Buhecker (96); her two sons: Brad (Peggy) of St. George, Utah, and Chuck (Sandra) of Denver, Colorado. She was preceded in death by her husband, Afton, and several brothers and sisters. Funeral services will be held Monday, Oct. 3, at 11 a.m. at the Metcalf Mortuary Chapel, 288 W. St. George Blvd., St. George, Utah. Visitations will be held Sunday from 6-7 p.m., and again one hour before the service on Monday. The family wishes to extend a special appreciation to Dr. Tom Jones, Dr. Jason Swigert, Applegate Hospice Care and the staff of the River Road Beehive Home for their excellent care of our mom. For condolences, full obituary and funeral listings, please visit Metcalf Mortuary online.